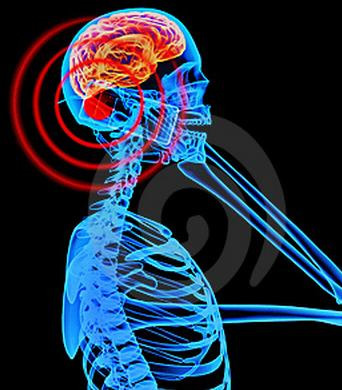 It seems like every few months, new research surfaces which either validates or invalidates links to cell phone radiation and human health. So, what's the truth -- the real truth? It may disappoint you to know the jury is still out on this question. However, today, we can pin up one more reason to believe there may be no link between the two. Experts from the UK Health and Protection Agency mulled over data found across hundreds of studies regarding cell phone usage and health problems. What were the results of this meta-study said to be the largest of its kind? Researchers were unable to derive any links between mobile phones and risk of cancer or infertility. Note, that's not to say scientists managed to disprove links between health problems and cell phones, rather, it simply could not be proven. As with all things biological, especially over long periods of time, it is difficult to separate correlation from causality. Research which aims to answer the big question is not done in a vacuum. Needless to say, we're inundated by so many things in all facets of everyday life that even the best research cannot always be absolutely definitive. Rather, scientists rely on a consensus of studies and when there are a preponderance of outcomes, the broader community can be relatively assured of the results. Despite its positive findings for our always-connected society, the study points out that we really still don't know much about cell phones beyond 15 years of use. While there have been studies that certainly pre-date 1997, far fewer people and a much narrower demographic were using cell phones at this time. This absence of numbers and diversity makes older data far less conclusive than more recent studies where mobile devices have become ubiquitous. Anthony Swerdlow, who chaired the review group, said it was important to continue monitoring research. "Even though it's relatively reassuring, I also think it's important that we keep an eye on the rates of brain tumours and other cancers," he said. "One can't know what the long-term consequences are of something that has been around for only a short period."